1. Please surf to the complete list of available PDFs on legal procedures in criminal and civil cases. If you are a new bar passer who does not know courtroom procedures, you should inform the judge, “Your Honor please, I am a new bar passer, and I will appreciate any help that this Court can extend to me.” The judge will not scold you but will extend all the help you need. Even your opposing counsel (and other lawyers in the courtroom) will help you. It’s a little bit embarrassing saying this in front of your client, but it will help prevent you from making any mistake. As a law student, you should not only rely on your subjects like Practice Court, Trial Techniques, or Evidence. You should watch as many courtroom hearings as you can. If your law school has a legal clinic, you can volunteer there and gain valuable experience in handling cases. Lawyers need the transcripts of stenographic notes (TSN) to prepare for their examination of witnesses and for their pleadings (memorandum, demurrer, appeal, etc). With most courts, the stenographer prepares the TSN before the next scheduled hearing. Before the hearing starts or any day beforehand, the lawyer usually asks his client to pay for and get the TSN. It usually costs ten to fifteen pesos per page. Some stenographers in order to maximize their earnings type the transcripts with two inch margins all sides and in double or even triple space! In one major city here in Metro Manila, stenographers will not prepare the TSN until and unless they are paid beforehand. They estimate from their notes how many pages the TSN will be and they charge accordingly. One paralegal I know was charged 500 pesos by the stenographer; when he got the TSN, it was only two pages long. These unscrupulous practices of stenographers should be reported to the Office of the Court Administrator of the Supreme Court. Some trial lawyers practice what is called “lagare”. For example, they schedule the hearings of two or more cases held in the same town or city in the same morning or afternoon session. They instruct their clients to inform the judge, when the case is called, that their lawyer is in another courtroom. The case is then set for a second or third call. After the lawyer finishes with the hearing in one case, he or she then goes to the other hearing. Judges allow this since they recognize that lawyers have to earn a living. The “Supreme Court Rule on Examination of a Child Witness” governs the examination of child witnesses who are victims of crime, accused of a crime, and witnesses to crime. 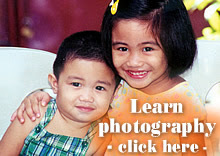 It applies in all criminal proceedings and non-criminal proceedings involving child witnesses. The objectives of this Rule are to create and maintain an environment that will allow children to give reliable and complete evidence, minimize trauma to children, encourage children to testify in legal proceedings, and facilitate the ascertainment of truth. Section 25 of the Rule provides for the giving of the testimony via live-link television. Some courts (called “e-courts”) are equipped with video conferencing facilities. Please read the “Revised Rule on Children in Conflict with the Law”. Rather than going through a full-blown trial, the contending parties can choose to go through “Alternative Dispute Resolution” (ADR) which is part of “Court-Annexed Mediation” (CAM). In criminal cases, the civil aspect or claim for damages for violation of BP 22 (bounced checks), simple theft, libel, and estafa can now be mediated. ADR is cost-effective as it takes merely ten percent of total duration of litigation saving time and resources of litigants and courts and preserves good will between the parties. When the civil aspect of the case is successfully mediated, the criminal aspect can then be dismissed. 8. If the accused escapes or could not be located during the trial, the court orders the confiscation of the bond, and the case is then archived so that the prescriptive period won’t run. In case the accused is bonded, the court orders the bail bondsmen to produce the body of the accused (that is, to bring the accused to court). The trial proceeds in absentia if the accused was validly arraigned. 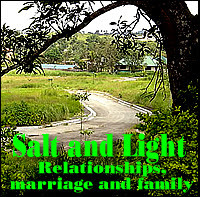 protection from being removed or demoted in his work, etc. In case of death or permanent incapacity due to his being a witness, his heirs get burial benefits, and his dependent children get free education up to college. 10. Benefits for victims of violent crimes, unjustly accused or detained, etc. Under R.A. 7309, the following may ask for compensation with the Department of Justice Board of Claims: victims of violent crimes; a person unjustly detained and released without being charged; any victim of arbitrary or illegal detention; any person who was unjustly accused, convicted and imprisoned but subsequently acquitted and released. Section 1. Time to prepare for trial. – After a plea of not guilty is entered, the accused shall have at least fifteen (15) days to prepare for trial. The trial shall commence within thirty (30) days from receipt of the pre-trial order. Sec. 2. Continuous trial until terminated; postponements. – Trial once commenced shall continue from day to day as far as practicable until terminated. It may be postponed for a reasonable period of time for good cause. The court shall, after consultation with the prosecutor and defense counsel, set the case for continuous trail on a weekly or other short-term trial calendar at the earliest possible time so as to ensure speedy trial. In no case shall the entire trial period exceed one hundred eighty (180) days from the first day of trial, except as otherwise authorized by the Supreme Court. The time limitations provided under this section and the preceding section shall not apply where special laws or circulars of the Supreme Court provide for a shorter period of trial. (7) Delay reasonably attributable to any period, not to exceed thirty (30) days, during which any proceeding concerning the accused is actually under advisement. (b) Any period of delay resulting from the absence or unavailability of an essential witness. For purposes of this subparagraph, an essential witness shall be considered absent when his whereabouts are unknown or his whereabouts cannot be determined by due diligence. He shall be considered unavailable whenever his whereabouts are known but his presence for trial cannot be obtained by due diligence. (c) Any period of delay resulting from the mental incompetence or physical inability of the accused to stand trial. (d) If the information is dismissed upon motion of the prosecution and thereafter a charge is filed against the accused for the same offense, any period of delay from the date the charge was dismissed to the date the time limitation would commence to run as to the subsequent charge had there been no previous charge. (e) A reasonable period of delay when the accused is joined for trial with a co-accused over whom the court has not acquired jurisdiction, or, as to whom the time for trial has not run and no motion for separate trial has been granted. 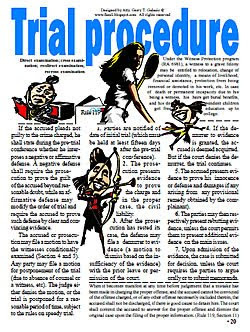 (f) Any period of delay resulting from a continuance granted by any court motu proprio, or on motion of either the accused or his counsel, or the prosecution, if the court granted the continuance on the basis of its findings set forth in the order that the ends of justice served by taking such action outweigh the best interest of the public and the accused in a speedy trial. Sec. 4. Factors for granting continuance. – The following factors, among others, shall be considered by a court in determining whether to grant a continuance under section 3(f) of this Rule. (b) Whether or not the case taken as a whole is so novel, unusual and complex, due to the number of accused or the nature of the prosecution, or that it is unreasonable to expect adequate preparation within the periods of time established therein. In addition, no continuance under section 3(f) of this Rule shall be granted because of congestion of the court’s calendar or lack of diligent preparation or failure to obtain available witnesses on the part of the prosecutor. Sec. 5. Time limit following an order for new trial. – If the accused is to be tried again pursuant to an order for a new trial, the trial shall commence within thirty (30) days from notice of the order, provided that if the period becomes impractical due to unavailability of witnesses and other factors, the court may extend but not to exceed one hundred eighty (180) days. For the second twelve-month period, the time limit shall be one hundred eighty (180) days from notice of said order for new trial. Sec. 6. Extended time limit. - Notwithstanding the provisions of section 1(g), Rule 116 and the preceding section 1, for the first twelve-calendar-month period following its effectivity on September 15, 1998, the time limit with respect to the period from arraignment to trial imposed by said provision shall be one hundred eighty (180) days. For the second twelve-month period, the time limit shall be one hundred twenty (120) days, and for the third twelve-month period, the time limit shall be eighty (80) days. (a) Shall promptly undertake to obtain the presence of the prisoner for trial or cause a notice to be served on the person having custody of the prisoner requiring such person to so advise the prisoner of his right and demand trial. (b) Upon receipt of that notice, the custodian of the prisoner shall promptly advise the prisoner of the charge and of his right to demand trial. If at anytime thereafter the prisoner informs his custodian that he demands such trial, the latter shall cause notice to that effect to be sent promptly to the public attorney. (c) Upon receipt of such notice, the public attorney shall promptly seek to obtain the presence of the prisoner for trial. (d) When the custodian of the prisoner receives from the public attorney a properly supported request for the availability of the prisoner for purpose of trial, the prisoner shall be made available accordingly. (3) By denying any defense counsel or prosecutor the right to practice before the court trying the case for a period not exceeding thirty (30) days. The punishment provided for by this section shall be without prejudice to any appropriate criminal action or other sanction authorized under these rules. Sec. 9. Remedy where accused is not brought to trial within the time limit. – If the accused is not brought to trial within the time limit required by Section 1(g), Rule 116 and Section 1, as extended by Section 6 of this Rule, the information may be dismissed on motion of the accused on the ground of denial of his right to speedy trial. The accused shall have the burden of proving the motion but the prosecution shall have the burden of going forward with the evidence to establish the exclusion of time under section 3 of this rule. The dismissal shall be subject to the rules on double jeopardy. Failure of the accused to move for dismissal prior to trial shall constitute a waiver of the right to dismiss under this section. Sec. 10. Law on speedy trial not a bar to provision on speedy trial in the Constitution. – No provision of law on speedy trial and no rule implementing the same shall be interpreted as a bar to any charge of denial of the right to speedy trial guaranteed by Section 14(2), Article III, of the 1987 Constitution. (a) The prosecution shall present evidence to prove the charge and, in the proper case, the civil liability. (b) The accused may present evidence to prove his defense and damages, if any, arising, from the issuance of a provisional remedy in the case. (c) The prosecution and the defense may, in that order, present rebuttal and sur-rebuttal evidence unless the court, in furtherance of justice, permits them to present additional evidence bearing upon the main issue. (d) Upon admission of evidence of the parties, the case shall be deemed submitted for decision unless the court directs them to argue orally or to submit written memoranda. (e) When the accused admits the act or omission charged in the complaint or information but interposes a lawful defense, the order of trial may be modified. Sec. 12. Application for examination of witness for accused before trial. – When the accused has been held to answer for an offense, he may, upon motion with notice to the other parties, have witnesses conditionally examined in his behalf. The motion shall state: (a) the name and residence of the witness; (b) the substance of his testimony; and (c) that the witness is sick or infirm as to afford reasonable ground for believing that he will not be able to attend the trial, or resides more than one hundred (100) kilometers from the place of trial and has no means to attend the same, or that other similar circumstances exist that would make him unavailable or prevent him from attending the trial. The motion shall be supported by an affidavit of the accused and such other evidence as the court may require. Sec. 13. Examination of defense witness; how made. – If the court is satisfied that the examination of a witness for the accused is necessary, an order shall be made directing that the witness be examined at a specific date, time and place and that a copy of the order be served on the prosecutor at least three (3) days before the scheduled examination. The examination shall be taken before a judge, or, if not practicable, a member of the Bar in good standing so designated by the judge in the order, or if the order be made by a court of superior jurisdiction, before an inferior court to be designated therein. The examination shall proceed notwithstanding the absence of the prosecutor provided he was duly notified of the hearing. A written record of the testimony shall be taken. Sec. 14. Bail to secure appearance of material witness. – When the court is satisfied, upon proof of oath, that a material witness will not testify when required, it may, upon motion of either party, order the witness to post bail in such sum as may be deemed proper. Upon refusal to post bail, the court shall commit him to prison until he complies or is legally discharged after his testimony has been taken. Sec. 15. Examination of witness for the prosecution.– When it is satisfactorily appears that a witness for the prosecution is too sick or infirm to appear at the trial as directed by the court, of has to leave the Philippines with no definite date of returning, he may forthwith be conditionally examined before the court where the case is pending. Such examination, in the presence of the accused, or in his absence after reasonable notice to attend the examination has been served on him, shall be conducted in the same manner as an examination at the trial. Failure or refusal of the accused to attend the examination at the trial. Failure or refusal of the accused to attend the examination after notice shall be considered a waiver. The statement taken may be admitted in behalf of or against the accused. Sec. 16. Trial of several accused. – When two or more accused are jointly charged with an offense, they shall be tried jointly unless the court, in its discretion and upon motion of the prosecutor or any accused, orders separate trial for one or more accused. (e) Said accused has not at any time been convicted of any offense involving moral turpitude. Evidence adduced in support of the discharge shall automatically form part of the trial. If the court denies the motion for discharge of the accused as state witness, his sworn statement shall be inadmissible in evidence. Sec. 18. Discharge of accused operates as acquittal. – The order indicated in the preceding section shall amount to an acquittal of the discharged accused and shall be a bar to future prosecution for the same offense, unless the accused fails or refuses to testify against his co-accused in accordance with his sworn statement constituting the basis for his discharge. Sec. 19. When mistake has been made in charging the proper offense. – When it becomes manifest at any time before judgment that a mistake has been made in charging the proper offense and the accused cannot be convicted of the offense charged or any other offense necessarily included therein, the accused shall not be discharged if there appears good cause to detain him. In such case, the court shall commit the accused to answer for the proper offense and dismiss the original case upon the filing of the proper information. Sec. 20. Appointment of acting prosecutor. – When a prosecutor, his assistant or deputy is disqualified to act due to any of the grounds stated in section 1 of Rule 137 or for any other reason, the judge or the prosecutor shall communicate with the Secretary of Justice in order that the latter may appoint an acting prosecutor. Sec. 21. Exclusion of the public. – The judge may, motu proprio, exclude the public from the courtroom if the evidence to be produced during the trial is offensive to decency or public morals. He may also, on motion of the accused, exclude the public from the trial except court personnel and the counsel of the parties. Sec. 22. Consolidation of trials of related offenses. – Charges for offenses founded on the same facts or forming part of a series of offenses of similar character may be tried jointly at the discretion of the court. Sec. 23. Demurrer to evidence. – After the prosecution rests its case, the court may dismiss the action on the ground of insufficiency of evidence (1) on its own initiative after giving the prosecution the opportunity to be heard or (2) upon demurrer to evidence filed by the accused with or without leave of court. If the court denies the demurrer to evidence filed with leave of court, the accused may adduce evidence in his defense. When the demurrer to evidence is filed without leave of court, the accused waives the right to present evidence and submits the case for judgment on the basis of the evidence for the prosecution. The motion for leave of court to file demurrer to evidence shall specifically state its grounds and shall be filed within a non-extendible period of five (5) days after the prosecution rests its case. The prosecution may oppose the motion within a non-extendible period of five (5) days from its receipt. If leave of court is granted, the accused shall file the demurrer to evidence within a non-extendible period of ten (10) days from notice. The prosecution may oppose the demurrer to evidence within a similar period from its receipt. The order denying the motion for leave of court to file demurrer to evidence or the demurrer itself shall not be reviewable by appeal or by certiorari before judgment. Sec. 24. Reopening. – At any time before finality of the judgment of conviction, the judge may, motu proprio or upon motion, with hearing in either case, reopen the proceedings to avoid a miscarriage of justice. The proceedings shall be terminated within thirty (30) days from the order granting it.